Oh blog, you have been so neglected! I miss you. I’ve been doing a lot lately, most of which is just mindless and frustrating. I spend my free time dreaming that I’m not doing what I am actually doing. So. New idea, write some of this stuff down. If anything, it will be fun to look at and laugh later. 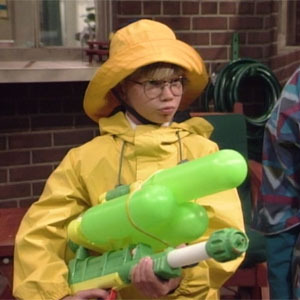 What I learned today: Minkus is going to be on Girl Meets World! This is awesome. Don’t insult the man with the Perky’s. I really hope the show has the same self-aware silly-comedy-with-a-heart of the original. And that it stays on the air long enough for to me kick open the doors and demand a job on the writing staff (that’s how it works, right?). Back in the day it felt like every single actor in my age range was on Boy Meets World at least once. I used to imagine that I was an extra on the show — Topanga’s random friend-for-an-episode or something. Because it’s normal to dream about being an extra rather than an actual character. Dreaming big, right there. Though I also used to imagine that I was Stephanie Tanner, so either my confidence was higher or my standards were lower for Full House. My lunch is just about ending, and I still have to email a friend who I never get to talk to anymore. Because of the aforementioned mindless frustration. But my goal is to come back later tonight and blog about my venture into writing tv scripts. Should we take bets on if I actually get to write this post tonight? Will it end up being another case of see you in three months? I hope not.